We are involved in offering a wide assortment of Potting Compounds to our clients. These products are obtained from the most trusted vendors of the market and are available at competitive prices. Our encapsulants are defined by industry norms and standards. These encapsulants are manufactured using quality raw material at our vendors unit. We have recognized as one of the coveted firms engaged in trading, wholesaling and exporting Silicone Based Products of Dow Corning. Additionally, we are also engaged in providing Custom Labeling Services. Our comprehensive array includes Custom Labeling, Die Attaches Encapsulants, Adhesive & Sealants and Electrical Conductive. 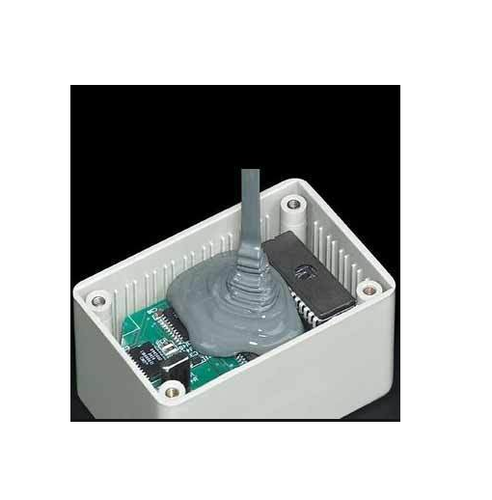 Besides these, we also offer Sink Compound Thermal Pads, Potting Material & Encapsulants, Conformal Coating and Heat Thermal Interfaces. The products offered by us are procured from the most reliable vendors of the market who use premium-grade raw material in the manufacturing process. Our products can be availed by the services and products via Cash, Cheque and DD. Being an authorized Distributor of Dow Corning-USA- Electronics in India, we have a capacious warehousing facility in Pune that assists us in the proper storage of the offered products. We are also facilitated with sales offices in Mumbai, Bangalore and Pune. Our warehousing facility is connected with well-developed transportation network that aids us in the quick delivery of products. All our business activities are properly executed by the team of adept professionals, we have appointed. Owing to the incessant efforts of our team-members, we have established a huge market in Indian Subcontinent, Middle East, South East Asia and East Asia.